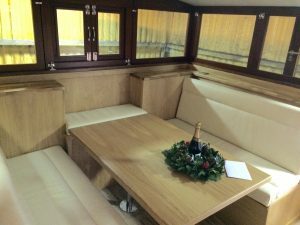 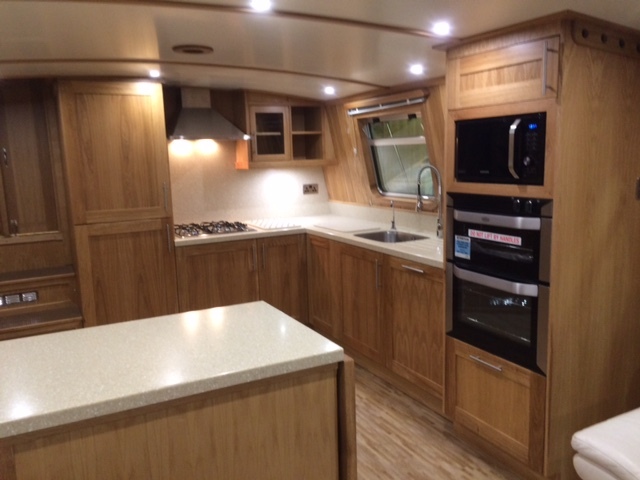 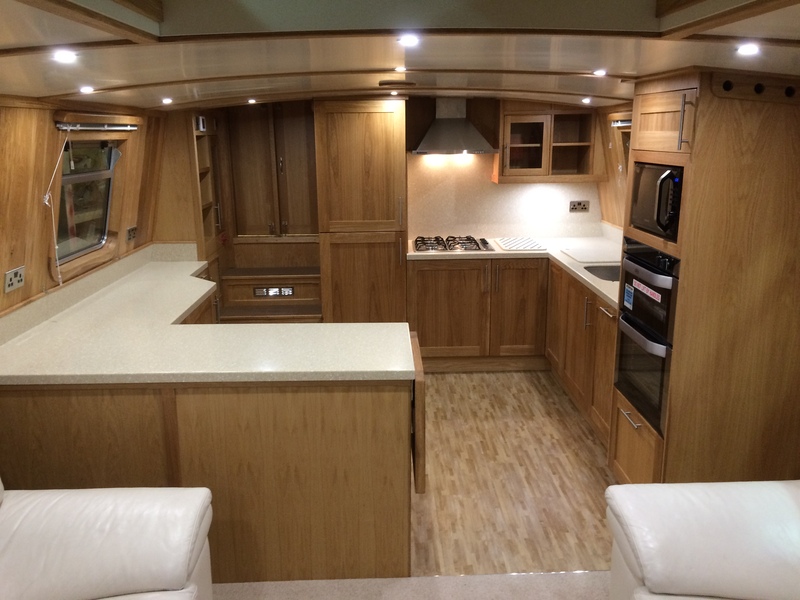 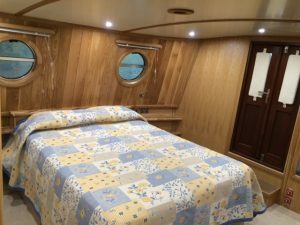 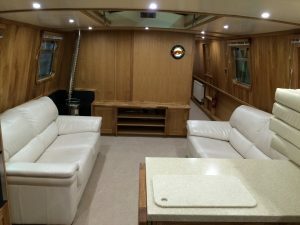 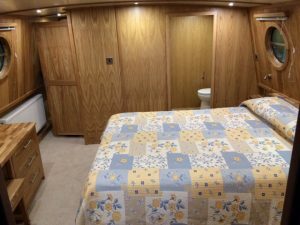 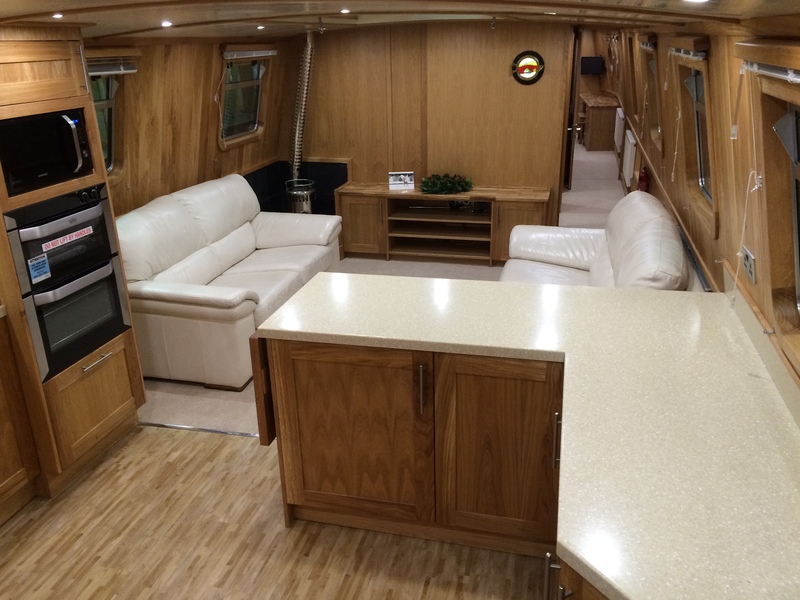 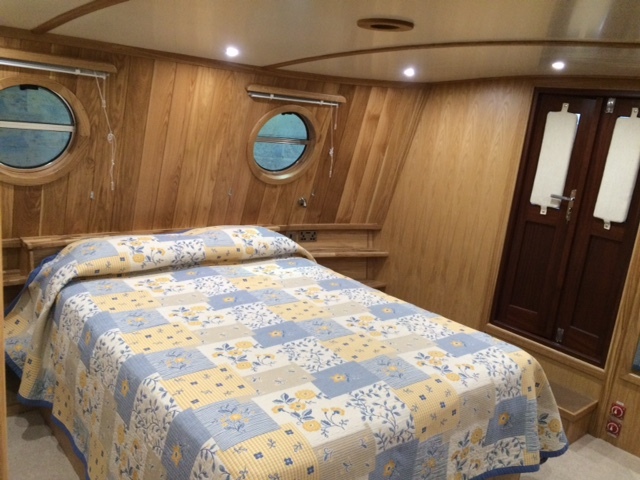 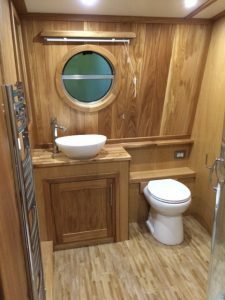 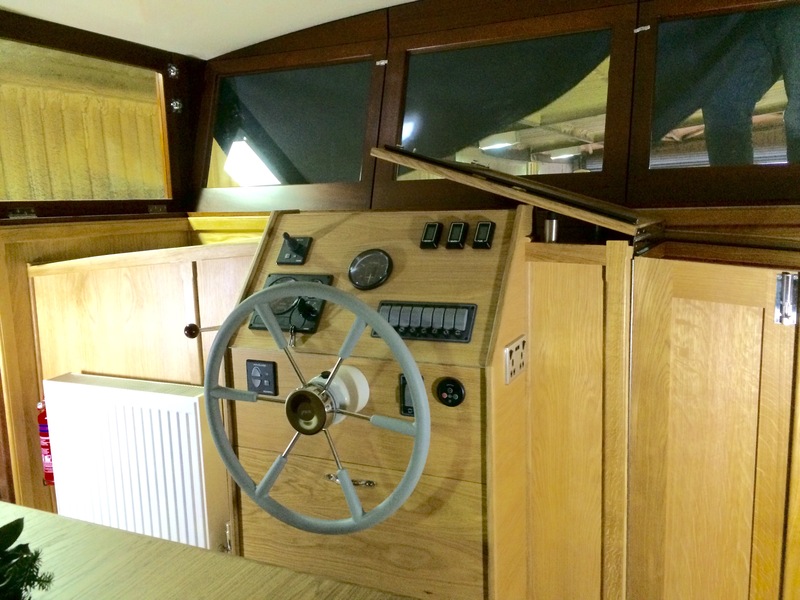 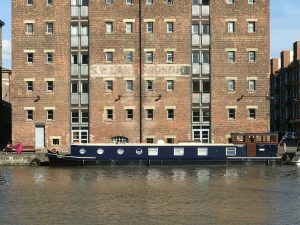 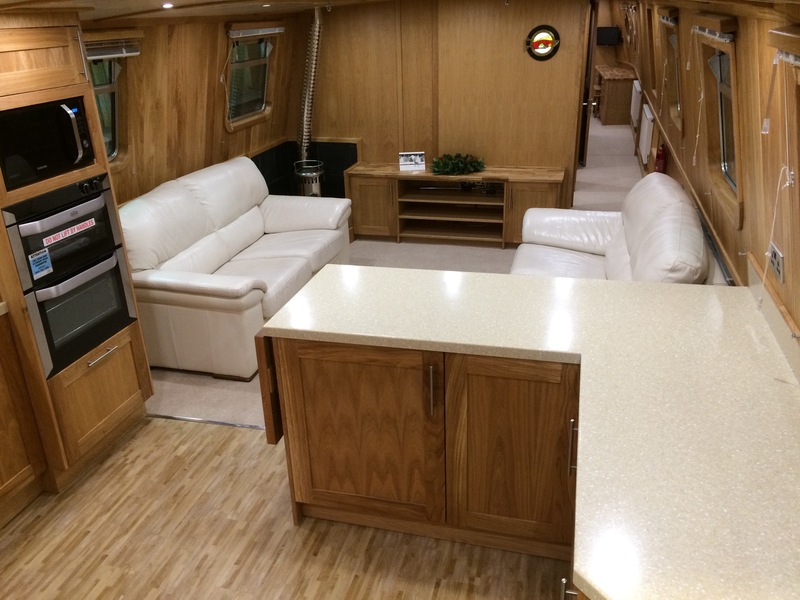 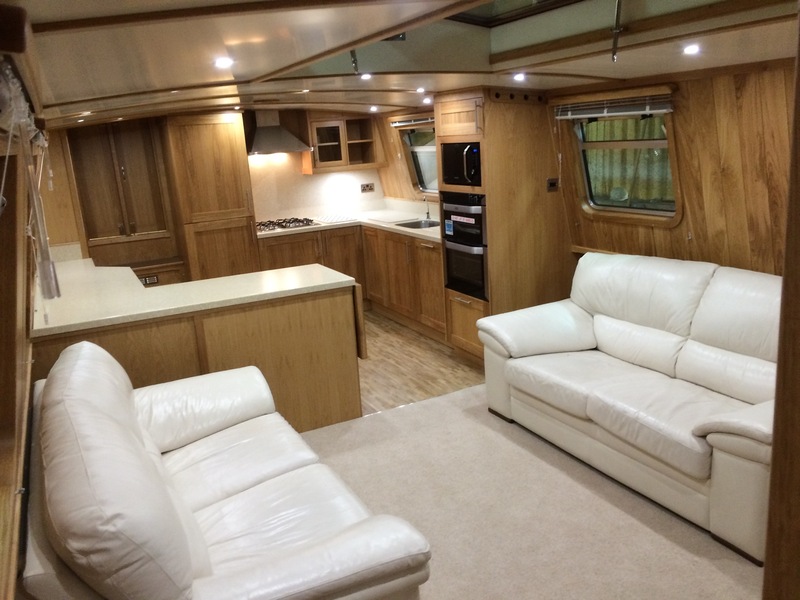 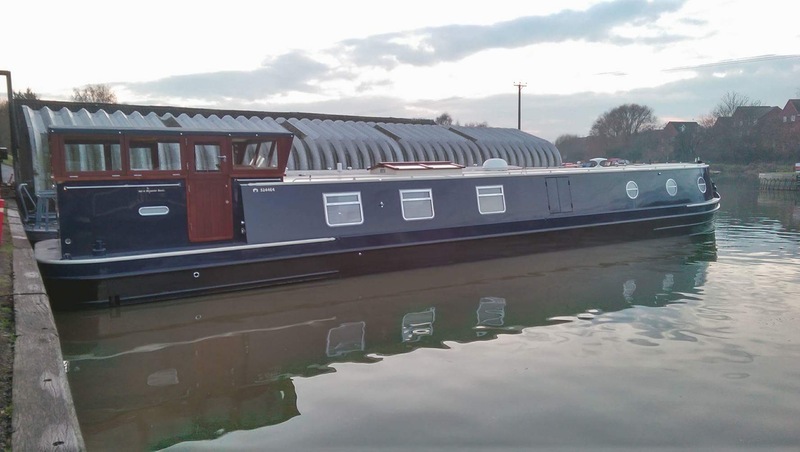 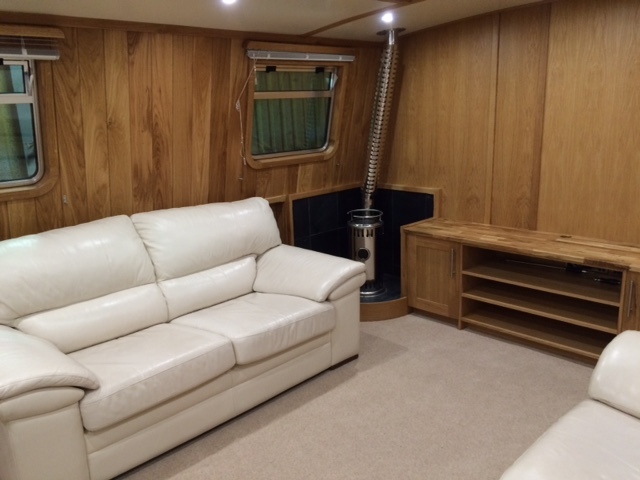 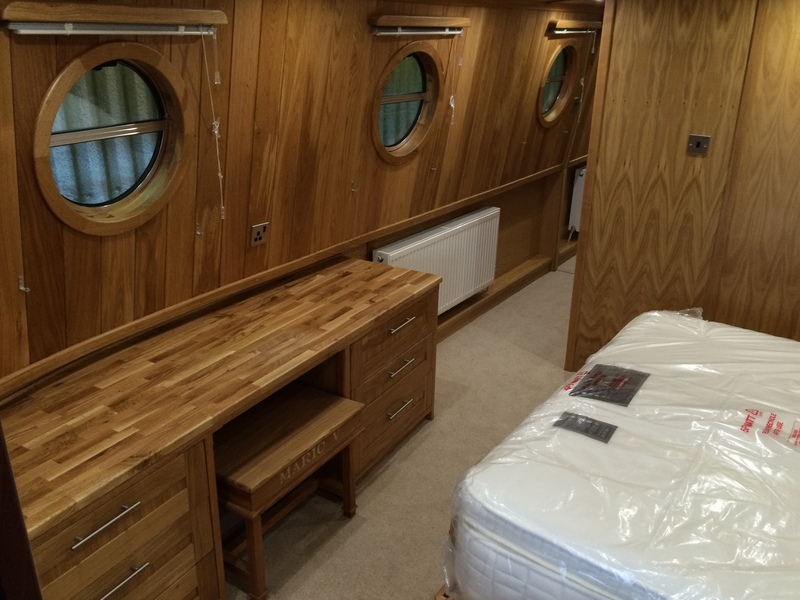 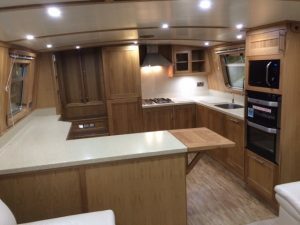 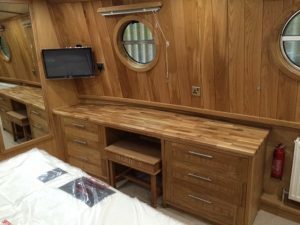 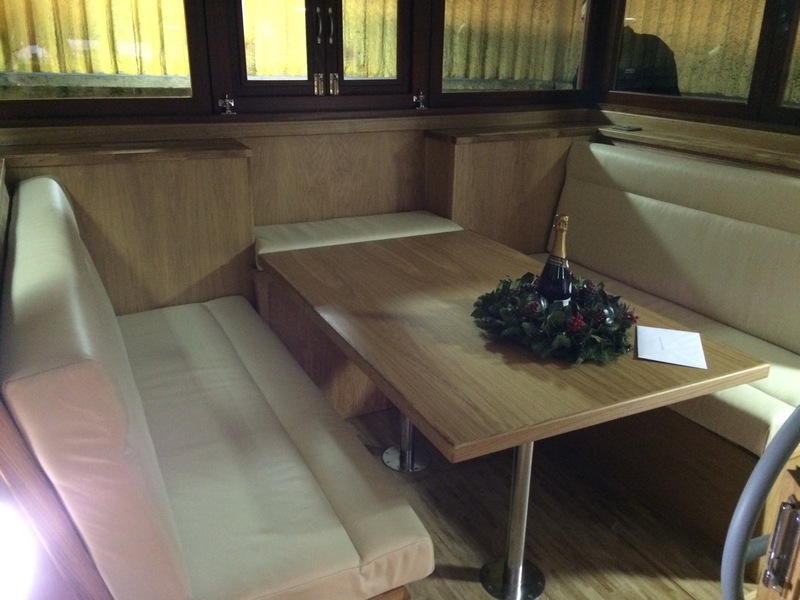 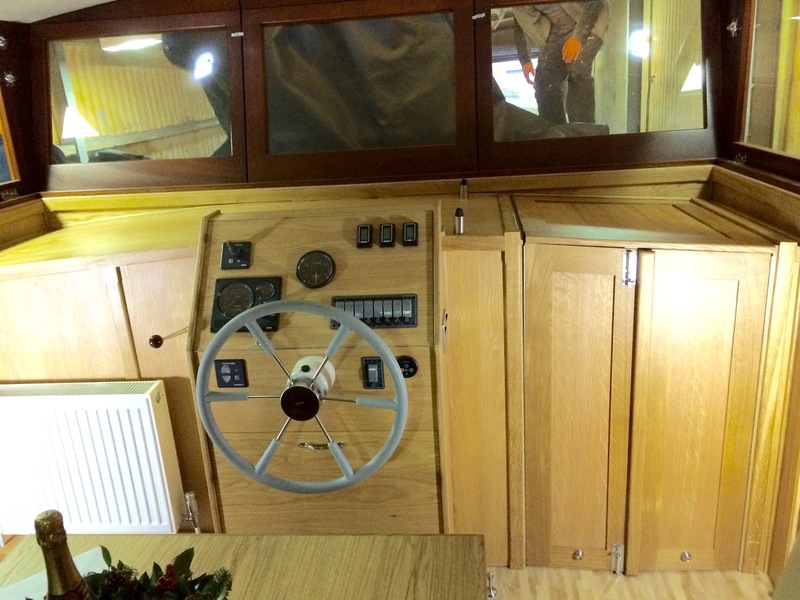 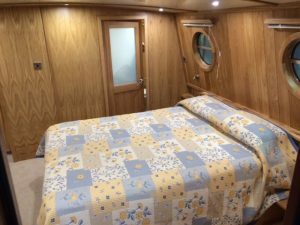 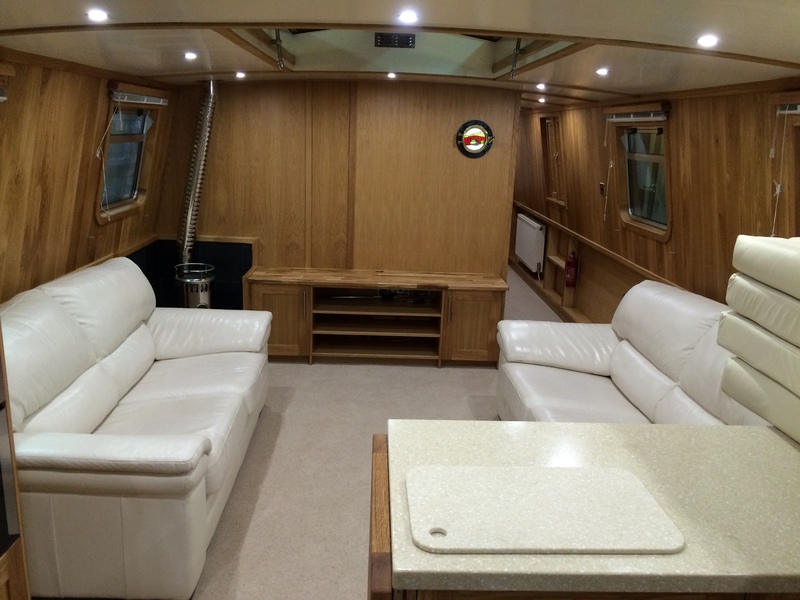 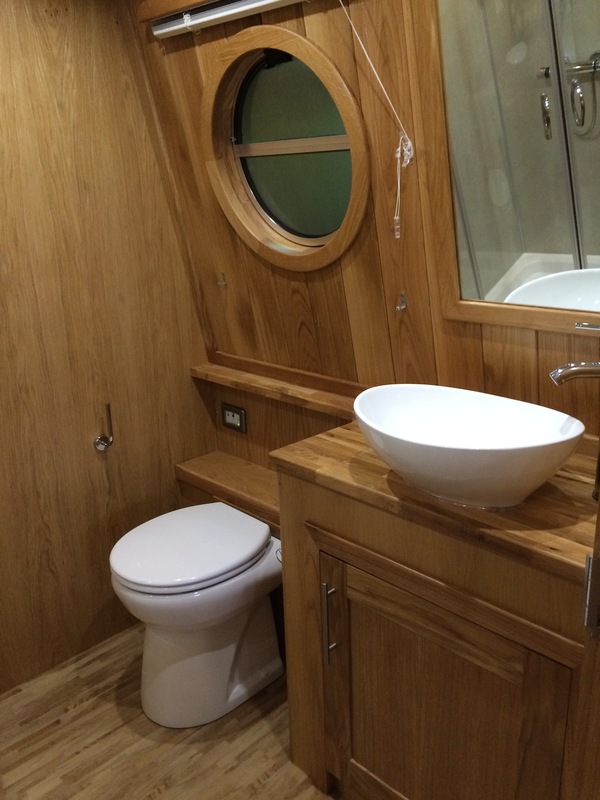 Maric V is a 65ft x 12ft 6″ bespoke wide beam with two bedrooms and two bathrooms. 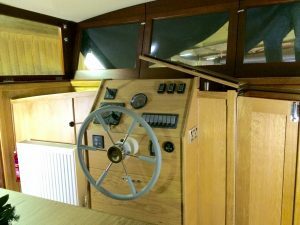 Different to traditional wide beams, Maric V has a collapsible sapele wheelhouse at the stern. The layout from bow to stern is: Bedroom, En-suite, Bathroom, 2nd Bedroom, Saloon, Galley and Wheelhouse. 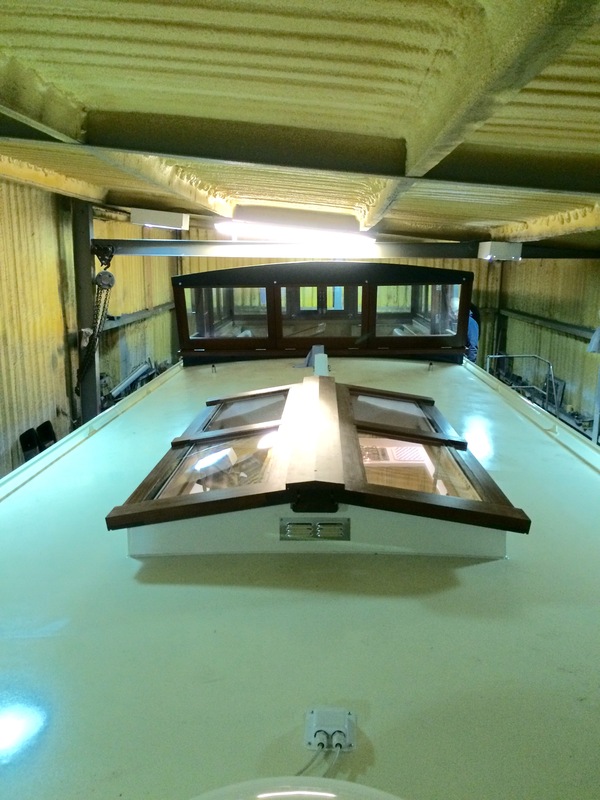 Maric V is lined with a painted ceiling, oak T & G on the cabin sides and oak veneered plywood under gunnel. The worktops in the galley are Staron complete with a chopping board and a trivet. 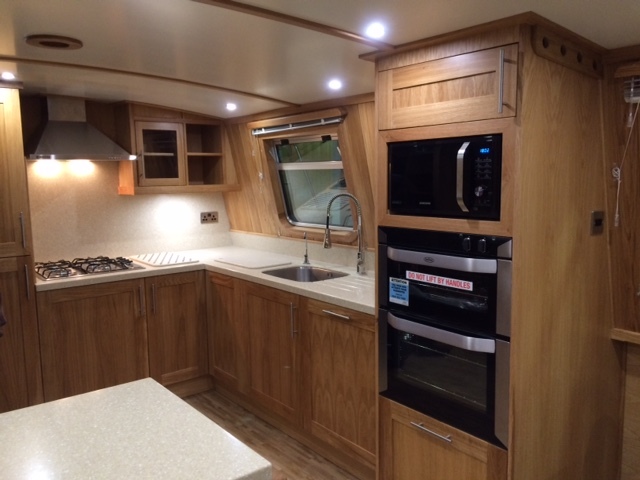 Oak worktops are fitted throughout on oak units. 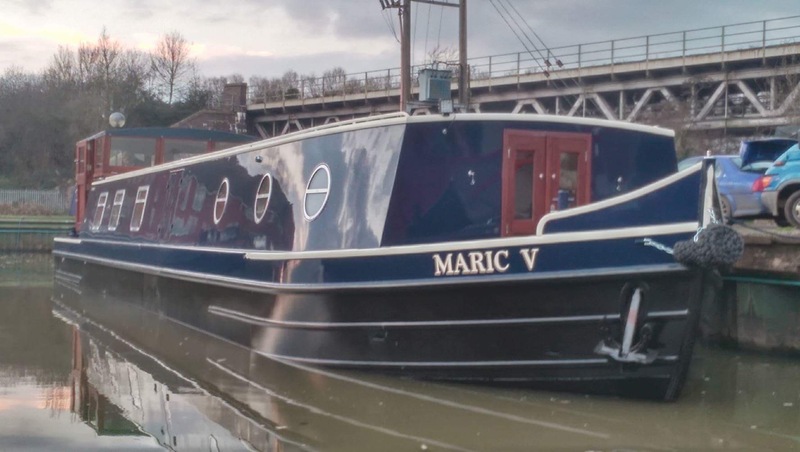 A personalised stool for Maric V was made by ourselves, bespoke for the client. A large opening dog box is fitted to the roof above the saloon to allow additional natural light to flow into Maric V.
Maric V is fitted with a Vetus 80hp engine, a Vetus 6.5 kva generator, a Vetus 95kgf electric bow thruster, a Vetus 3000W inverter/charger, a Vetus electric winch and Webasto diesel heating. 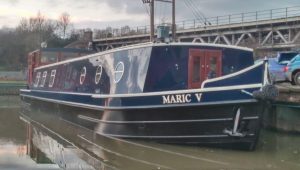 Maric V has been shot blasted externally and painted in a two pack paint system, Awlcraft 2000.